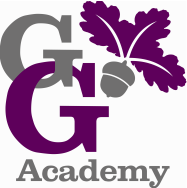 At George Grenville, we believe that Numeracy, as an essential life-skill, is a vital way of viewing and making sense of the world. It is used to analyse, organise, manipulate and communicate information. It is useful in enabling problems to be solved and predictions to be made, both in real-life and within mathematics itself. Thinking mathematically involves exploring, generalising, hypothesising, verifying and proving.